The demo period for Anthem is over now, so all that’s left is to figure out where you’re going to end up on that meme-worthy spreadsheet. 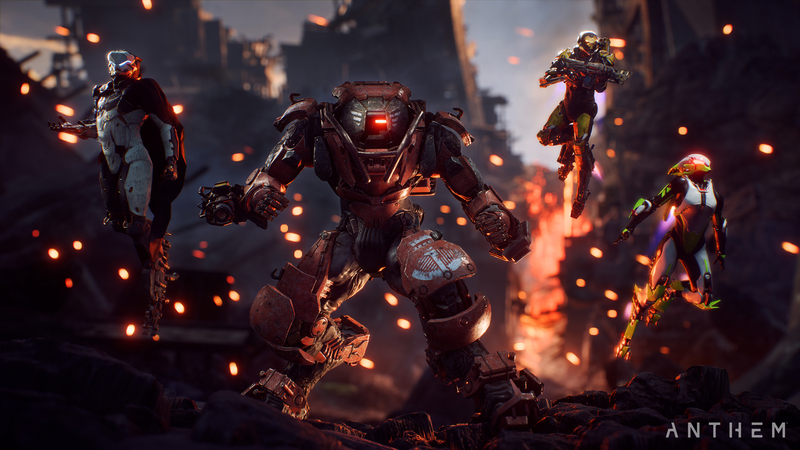 Then, as planned, Anthem will be available for everyone on February 22, 2019. Today, we got a nice little teaser of what’s on the way after launch, courtesy of BioWare’s Ben Irving, lead producer on Anthem. Irving posted an infographic on Twitter, that you can take a look at yourself under this paragraph. Initially, the post-launch narrative for Anthem seems to provide three “Acts.” This is of course what’s coming after the story that comes baked into the game at launch. The first Act is scheduled for March 2019, and appears to be split into three updates. We don’t have release dates for any of this content, nor do we have details on further Acts, although the infographic does contain some visual elements for them. It will be interesting to see what happens with these plans once the game is live, as well as what form the unannounced Acts eventually take.